Located just north of Atlanta in fast-growing Cherokee County, the City of Holly Springs is a five and a half square mile oasis of friendly neighborhoods, thriving businesses, and wonderful early-twentieth century homes and commercial buildings. The City was incorporated in 1906, and quickly began building up around a busy train depot established by the L&N Railroad (now the Georgia Northeastern Railway). That depot, now the Holly Springs Community Center, was painstakingly restored by the City in the late 1990’s and is a source of immense civic pride for our 6,500 local residents. 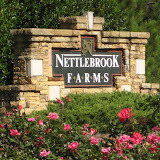 Barrett Farms is a Holly Springs / Canton Georgia subdivision located just off of Hickory Road in Cherokee County GA 30115. This community is built and developed by Sun Quality Homes Inc. Homes built between 1999 to 2001. The average list price for a home in Barrett Farms is between $66,500 to $170,00. 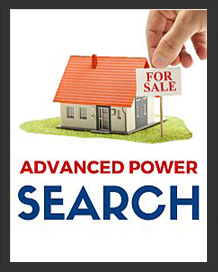 The average selling price for a home, at time of post, for a 3 bedroom, 2.5 bathroom home is $131,969.00. Home Owner Association fees, at time of post, include amenities, Playground, Swimming Pool, and Tennis Courts Lighted. Streets in the community include: Apache Drive, Carl Barrett Dr., Hampton Way, Jay Street, Joseph St., Lee Ct., Linda Ct., Spring Trail. Directions: 575 N to Sixes Road, turn Right, Turn Left on Old Hwy 5, Right on Hickory Road, Right into Barrett Farms subdivision on Reece Street. Fox Hollow Neighborhoods Of N. Atlanta-Just In Time For The First Day Of Spring! Although Fox Hollow in Cherokee County GA is listed in the MLS as Canton GA 30115, it is actually right in the heart of Holly Springs, GA. 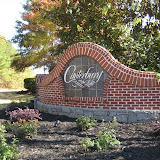 Located just North of Hickory Road, in the Holly Springs area, most homes were built from 2002+. 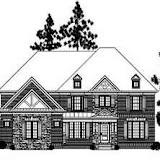 The average price for a home, at time of post, is $187,213.00 for a 4 bedroom / 3 full bathroom home. There does not seem to be any H.O.A. fees as well. 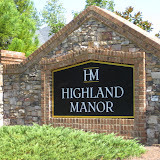 Streets in the Community Include Moore Valley Way, Fox Hollow Trail, Westchester Crossing, Glenvale Place. Directions: 575 NORTH TO EXIT 11, RIGHT ON SIXES ROAD, LEFT ONTO CANTON HIGHWAY, ABOUT 1 MILE RIGHT ONTO HICKORY ROAD, LEFT ONTO NEW LIGHT, RIGHT INTO FOX HOLLOW COMMUNITY. 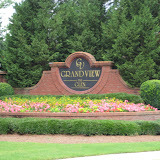 Fox Hollow Of Dunwoody is located in a pocket of North Atlanta GA where many Fox communities lie. There is Foxwood as well, right down the street. 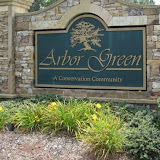 Located in Dekalb County, this community is a well estblished neigborhood of homes. Fox Hollow in Marietta Georgia, is located in Cobb County 30068. Most homes built from 1981 to 1999. 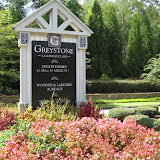 Community amenities include playground, swimming pool, tennis courts, clubhouse, and lake. The average price for a home in Fox Hollow, at time of post, is $370,000.00 for a 4 bedroom 3 and 1 half bathroom home. Home owner Association fees, at time of post, are $520.00 a year. Streets in the neighborhood of Fox Hollow in Marietta GA include Fox Hollow Parkway, Fox Hollow Way N.E., Fox Hollow Close, Fox Hollow Ct. N.E., Fox Hollow Drive. Directions: North on Johnson Ferry Road, left on Roswell Road. (loop 120), Left at light on Robinson Road, left on Fox Hollow Parkway into the Fox Hollow Neighborhood. Spoken by Deborah Weiner | Discussion: Comments Off on Fox Hollow Neighborhoods Of N. Atlanta-Just In Time For The First Day Of Spring! “Metro Atlanta arguably has the most dynamic economic market in the country,” Cisneros said last week while in the Atlanta area. Cisneros predicted metro Atlanta’s home prices and its overall housing industry will rebound sooner than other regions in the country. The local market continues to be reinforced by the influx of talented people seeking opportunities, he said. Factors contributing to local economic strength include hospitals and health care facilities, universities and the many fortune 500 companies Visit Site For List Of Companies who make Atlanta their home address. Henry Cisneros was secretary of the Housing and Urban Development department from 1993 to 1996. For more info on Henry Cisneros visit About Henry Cisneros. 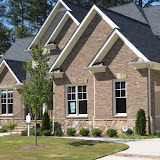 For Homes For Sale In The North Atlanta Area & Surrounding cities visit www.NorthAtlantaHomeTeam.com .